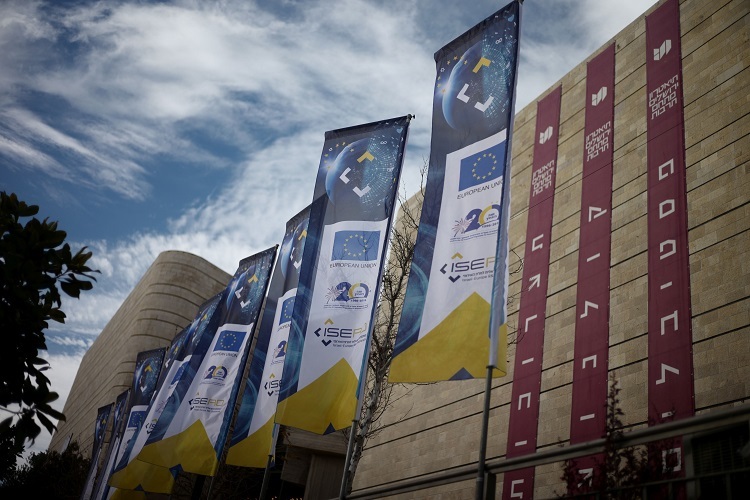 The Jerusalem Theatre was the venue for an extraordinary conference on January 10 when hundreds of Israeli researchers and officials gathered to celebrate the 20th anniversary of Israel's association to the European Union's Research and Innovation Programme. 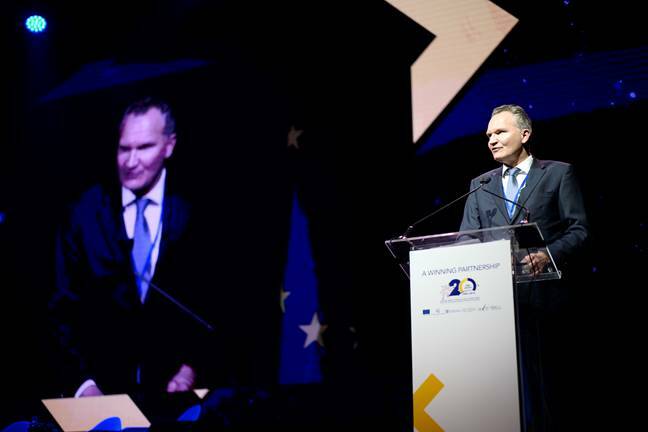 Leading the EU's delegation to the event was Robert-Jan Smits, who heads the European Commission's Directorate–General for Research and Innovation. 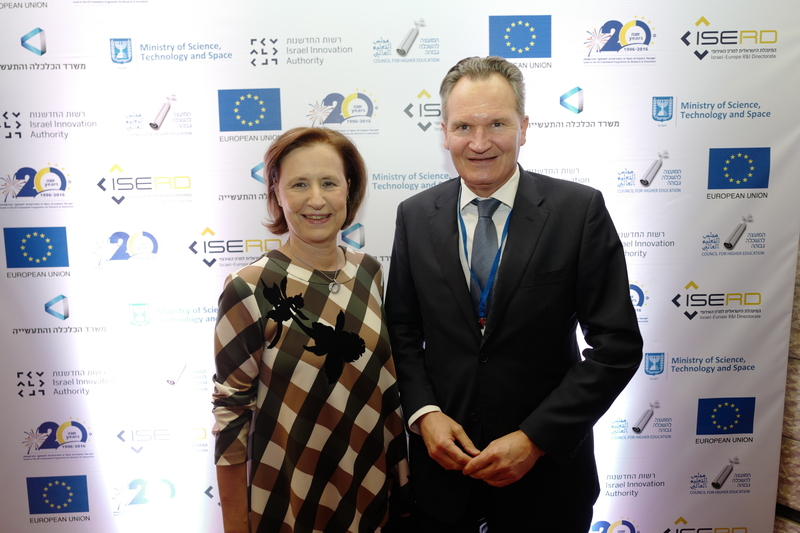 The event was organized by the EU Delegation to the State of Israel and ISERD - The Israeli Directorate for EU Framework Programmes. In 1996, Israel was the first non-European country to be associated to the EU's "Framework Programme for Research and Technological Development". These seven year programmes have become the largest publicly funded R&D programmes in the world. The current programme "Horizon 2020", which Israel joined in 2014, has a budget of close to EUR 80 billion for 2014-2020. The Framework Programmes (FP) combine numerous fields of research and diverse funding tools and are open to participants from academia, industry and the public sector. Beyond the possibility of winning prestigious research and development grants, they have enabled Israel to integrate with the European academic research community, to cooperate with key players in Europe, to influence European regulations, to have access to research infrastructure and to be exposed to massive European research projects. Figures released by ISERD ahead of the event highlighted Israel's impressive achievements in the programme. Over the past 20 years of partnership, overall Israeli investment amounted to €1.375 billion, while the return to Israeli entities in the form of grants reached €1.7 billion. Over 3,000 projects submitted by Israeli entities were approved involving 4,435 participants. Of these, 2,450 were academic researchers, 1,270 were industrial researchers, and 715 researchers from other sectors. EU figures show that in the previous programme, FP7, Israeli researchers participated in 1,620 projects for which €875.08 million was received. In Horizon 2020, Israeli researchers are already participating in over 430 projects for which they will receive close to €350 million. At the January 10 conference, three consecutive panels on 'Excellence in Science', 'Knowledge Transfer and "Small and Medium Sized Enterprises' illustrated the wide range of research topics covered. In a video message of congratulations, Israeli President Reuven Rivlin said: "Today, as always, we see industry, economy and academic research as important platforms to promote warm relations between Israel and EU countries…In today's global world, we know very well that the development of science and technology must be done by collaboration across borders with a wide approach in a range of fields with the spirit of sharing experience and building on direct relations between researchers from different regions, religions and cultures." 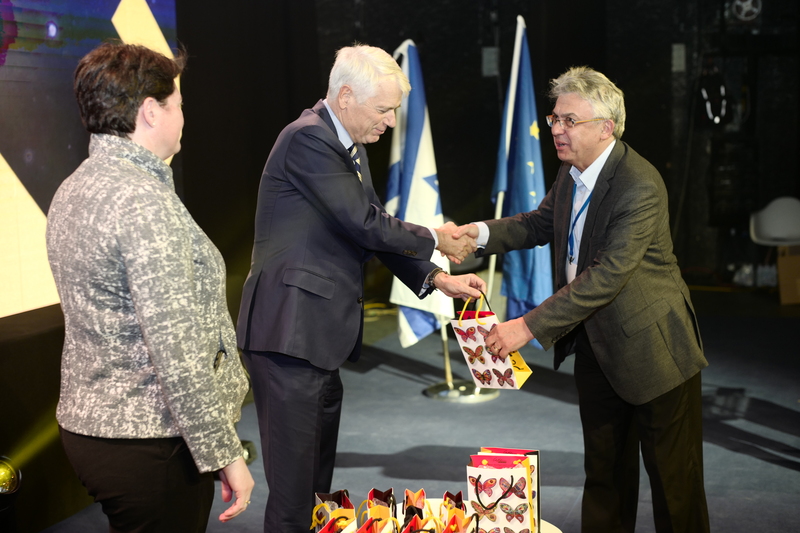 Also addressing the conference, EU Ambassador to Israel Lars Faaborg-Andersen noted that, " Our scientific cooperation is the jewel in the crown of our relations and one that is a model for the type of close relations we hope will continue and which we would like to see in more fields in the future. 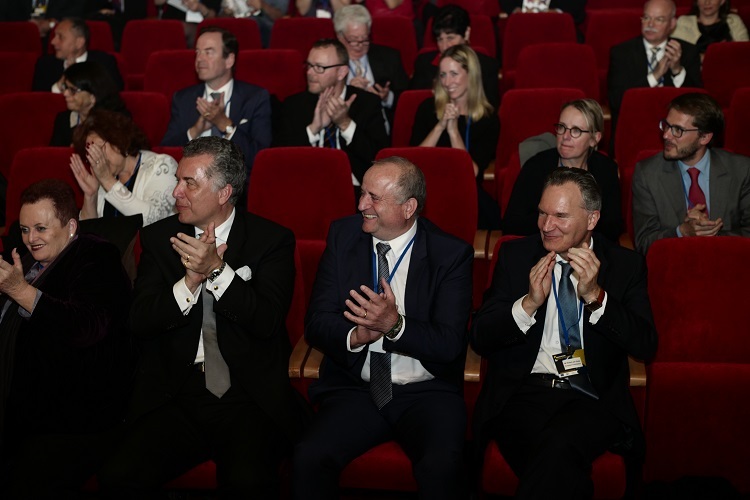 The conference concluded with the presentation of awards to the 15 coordinators of this year's Horizon 2020 projects and the seven Rectors of Israel's universities. Among the Israeli projects selected to receive funding this year: the HIPERLAM project, run by Orbotech Israel, developing a platform enabling use of 3D data using laser-based systems to print production components, the GLAUrious project, developing an automatic laser-based device accessible to a large population for treating glaucoma and the BrainPEER project of the ACE company, focusing on developing a cognitive training system for football players, based on technology developed by the company.